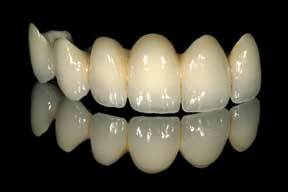 A dental bridge is two or more dental crowns hat are joined together to form one unit. They therefore "bridge" over a gap or space, left by another tooth that was removed. Dental bridges are non-removable and feel and look just like real teeth (also called fixed dental bridges ). The downside of a dental bridge is that it relies on your existing anchor teeth to support it. If these anchor teeth are well looked after, you can expect a good quality restoration for many years to come. The more missing teeth, the longer the dental bridge will get. Therefore careful planning is needed. After numbing the area, the anchor teeth get prepared by doing a 360 º preparation to ensure enough space for the fabrication of the retainer crowns. All insertion lines must be parallel to facilitate insertion. A temporary bridge / restoration is fitted to protect the naked anchor teeth until the next visit. The temporary bridge / resotration is taken off and the new dental bridge is fitted. 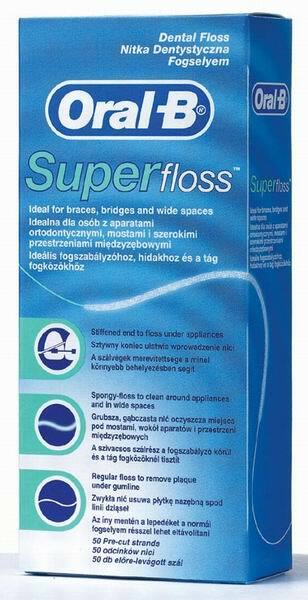 A semi-permanent cement is very often used to cement the bridge to make removal easier for the dentist, should the need arise to investigate a problem in the first few days. There are some differences between Dental Bridges and Dental Implants. The main difference between these two options, is what keeps it staying in the patient's mouth. Dental Bridges rely on existing healthy anchor teeth, where Dental Implants need enough bone to stabilise it in the jaw. Dental Implants are more long-term than Dental Bridges, because of Dental Implant's resistance to tooth decay (metal structure). Dental Implants are therefore also more expensive and more time is needed from the first to the final visit. Your own dental mirror to let you actually see what you are doing!